So I’m sure that by now, you’ve heard about the FDA passing a new regulation for Gluten Free labeling. Now, in order to mark Gluten Free on a package, the company must ensure that the food contains no more gluten than 20ppm. Companies have a year to comply, so don’t expect it happen instantly, but the regulation is there. And people are excited about it! I’ve seen tons of posts on Facebook and different blog postings, celebrating this new victory for the gluten free community. So I should be happy about it right? But my first instinct was…. Anger. Isn’t that a strange reaction? I’ve tried to really think about why I’m not excited about this new regulation. I mean, it’s a good thing to have some sort of standard for labeling. 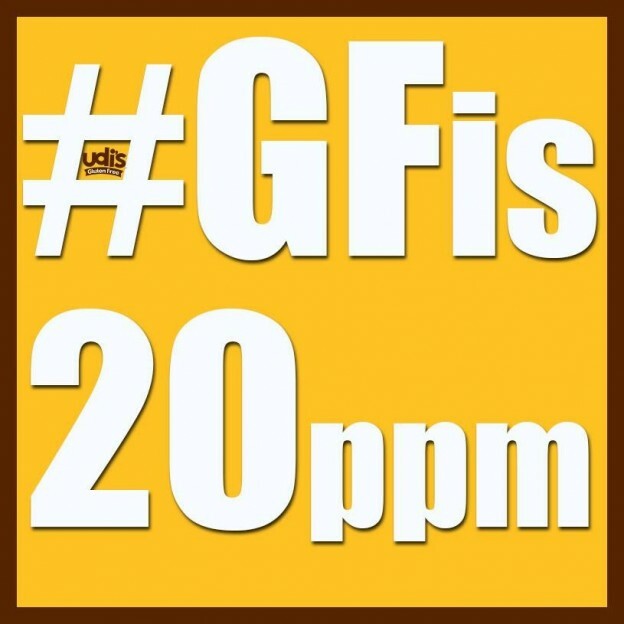 But 20 ppm keeps glaring at me. I want to live my gluten free life at ZERO ppm. Is that not possible? Am I fooling myself? Have I eaten foods that have 20ppm and felt fine? When I feel fine after eating a food…am I really fine? Maybe that’s what makes me angry. The not knowing. Celiac is such a tricky disease. I mean I didn’t know I had it for 25 years…could I be ingesting small amounts of gluten and not know? Could this be harming me on some level that I’m not aware of? I’ve talked about this thin line in the past. I first started thinking about it when a few new beers came onto the market that claim to be gluten free but they’re brewed with barley. The finished product has between 10 and 20 ppm of gluten, so they get to be labeled as gluten free. But I haven’t tried those beers. In fact, I get a little annoyed when bartenders tell me they no longer carry a beer I trust, because they’ve switched to another beer….that I don’t trust. So is 20ppm safe? I don’t know. And honestly, no one knows for sure. Research is being done,but there are no conclusive facts right now. All this uncertainty leaves me feeling…unsure. Unsure about how I feel about this new regulation. I would love to know your thoughts on this issue friends!